I love Iron Fist so much, it deserves its own special page! 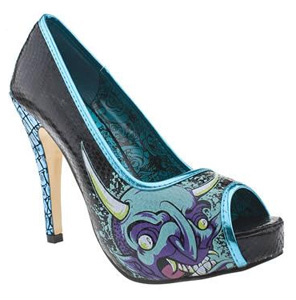 Just look at the shoes – I don’t think there’s any footwear that makes such a strong statement like Iron Fist shoes. I’ve never had the stamina to wear them very long however, you do need quite a strong pair of feet and legs, otherwise plenty of gel pads, soft insoles are in order, along with plasters and bandages on standby! … just kidding..